The United Nations Conference of the Parties (COP-21) to the United Nations Framework Convention on Climate Change took place in Paris from November 30 to December 12th, 2015, just a week after major terrorist attacks across the city. France's President, François Hollande, had declared a state of emergency and blocked public protests. Yet hundreds of thousands of activists still descended on the city, along with the delegates from 195 countries. Now, two weeks later, the conference delegates, climate activists, politicians, philanthropists, corporate sponsors, eco-investors, and citizen scientists have all left Paris on foot, by kayak, electric car, or fossil fuel-consuming aircraft. Representatives from 195 countries finally reached an Accord to roll back global warming on December 12th. Victory has been declared. Yet, the COP-21 Accord has many flaws: Lack of binding commitments to targets, with no recourse for non-compliance; lack of financial support for developing countries, and lack of liability coverage for climate-related damage to crops and property, to name just a few. But something important has happened. COP 21 appears to have finally reached the tipping point and has captured the world’s attention for more than a nanosecond. Why is Climate Change a "Customer" Concern? Cap the rise in global temperatures to 1.5 degrees Celsius. These customers are voting with their feet, hearts, minds, and pocketbooks. The rest of the ecosystem: investors, businesses, governments, and non-governmental organizations (NGOs) are all gradually--some reluctantly--aligning their rhetoric, and hopefully, their actions, to meet these customer goals. By witnessing how this movement evolves, whether or not it succeeds, and what works and what doesn't, we should discover patterns we can re-use in co-evolving the other customer ecosystems in which our companies participate. 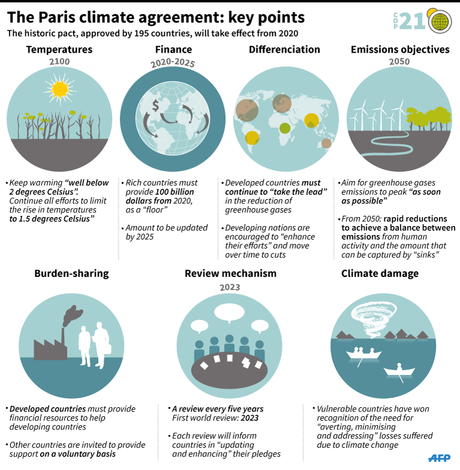 Was COP-21 a Turning Point for the Climate Justice Customer Ecosystem? The only legal demonstration that took place in Paris during COP-21 was on December 12, 2015, the final day of the conference. What we saw in Paris was a convergence of anti-terrorist, anti-war, anti-surveillance, anti-corporate, anti-inequality, anti-racism, anti-sexism, anti-agism protesters. 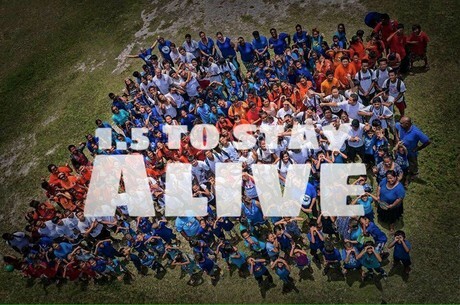 Black lives matter and native lives matter and island states' lives matter. "Climate Justice" is the term that is now being used to persuade people in power that they can no longer ignore the human right to live in an environmentally-sustainable manner. The first Climate Justice Summit took place in the Netherlands in 2000 in conjunction with COP 6. Its organizers proclaimed: “We affirm that climate change is a rights issue. It affects our livelihoods, our health, our children and our natural resources." (For a good summary of the history and evolution of the term "Climate Justice", see Wikipedia. The number of Climate Justice activists has mushroomed over the past few months; their reach continues to expand globally; their commitment to action has deepened. During the run up to COP-21 in Paris, climate change demonstrations sprang up all over the world. 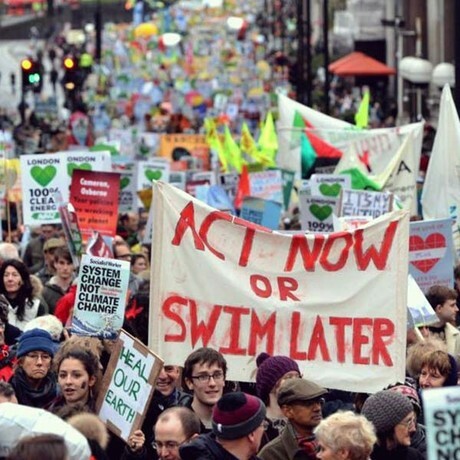 Before COP-21 kicked off in Paris, Climate Justice demonstrations were held all over the world. Here are just a few examples. But those climate change demonstrations were not episodic in nature, nor are they over. The climate justice movement becomes stronger every day, and the number of demonstrations, protests, and direct actions will intensify, not wane, over the next several years. Having a populist movement that can pull together all the disparate groups that are concerned about basic human rights is a good thing, in my opinion. Climate justice is a cause that many people are happy to join. Activists have been agitating about our over-dependence on fossil fuels for decades. But in the past year, the slogan "Keep it in the Ground" has become a populist call to action—one that both local and national politicians and corporate executives ignore at their peril. The commitment to shift away from fossil fuels has moved from being a nice idea to being a clear mandate. Although fossil fuels were apparently not explicitly mentioned in the COP-21 accord, there is no way to achieve the 1.5 degree target if we continue to burn coal, oil, and gas. Now, using renewable energy isn't just "a nice thing to do for the planet," it has become an imperative. Soon, it will be embarrassing for businesses and homes not to have solar panels, and other visible forms of renewable energy generation and consumption. Divestment of fossil fuel-related stock holdings has also reached a tipping point. As of COP-21, the divestment campaign had been embraced by more than 400 institutions worldwide representing $2.6 trillion in investments. These commitments include governments and investors from 43 countries and multiple sectors, including pension funds, health, education, philanthropy, faith, entertainment, climate justice and municipalities. Recent notable commitments include the Norway Pension Fund, the Canadian Medical Association, the World Council of Churches, the University of California system, the Children’s Investment Fund Foundation, the KR Foundation, Leonardo DiCaprio and the Leonardo DiCaprio Foundation. Not only have large institutions, such as universities, and pension funds, agreed to divest, but so too have many baby boomers, whose retirement portfolios are driving the economy, as well as kids, whose education savings have been invested in previously under-scrutinized mutual funds. This form of direct action may be the one that makes the biggest difference over time. The value of the fossil fuel companies' stocks will decline because fewer and fewer investors are interested in believe their current valuations are realistic if the companies' reserves actually DO stay in the ground. 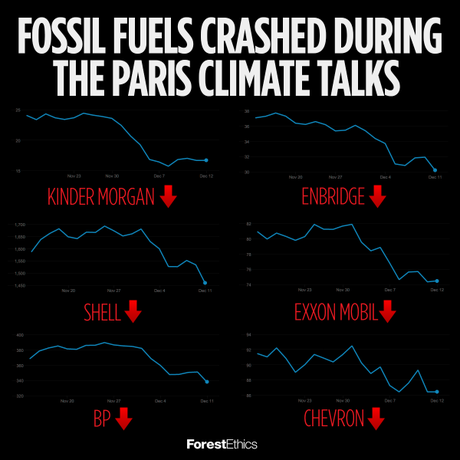 According to Forest Ethics, the stock prices of all the major oil producers declined during COP-21. "The Intergovernmental Panel on Climate Change found that all future carbon dioxide emissions must be less than 1,000 gigatonnes to provide a 66% chance of avoiding dangerous climate change; this figure includes all sources of carbon emissions. To avoid dangerous climate change, only 33% of known extractable fossil fuel of known reserves can be used; this carbon budget can also be depleted by an increase in other carbon emission sources such as deforestation and cement production. It is claimed that, if other carbon emissions increase significantly, then only 10% of the fossil fuel reserves can be used to stay within projected safe limits." Melinda and Bill Gates have apparently also begun to heed the call to divest, despite the fact that Gates characterizes divestment from fossil fuels as a "false solution" and prefers to focus on investing in innovative solutions to bring off the miracle he feels will be needed to avert global warming. According to an article in the Seattle Times published on November 16th, the Gates Foundation Trust has decreased its holdings in fossil fuels from $1.4 billion to $475 million in 2014. And, in 2015, the Gates Foundation sold all of its holdings in Exxon. 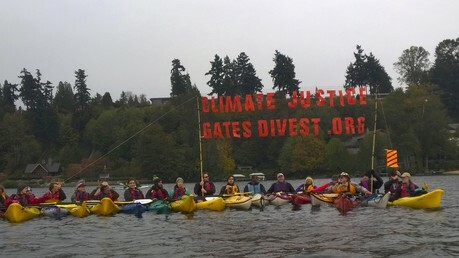 Protesters gather outside of the Gates' mansion to protest the Fossil Fuel holdings in the Gates Foundation's Portfolio. Bill Gates has been busy. He worked hard behind the scenes in the run up to COP-21 to pull together two impressive coalitions to form a public/private green energy investment partnership: a government coalition called Mission Innovation, and a private capital coalition called Breakthrough Energy Coalition. The goal of the first coalition is for national and state governments to double their investments in clean energy R&D; the second one is a coalition of 28 billionaires who have agreed to invest in commercial companies whose technologies will deliver near zero emission energy breakthroughs. Mission Innovation: Mission Innovation is a group of 20 developed and developing countries that have agreed to double their investments in clean energy research and development investment over the next five years. Photo credit: Gobierno de Chile, "Ceremonia de lanzamiento de la Iniciativa "Mission Innovation", November 30, 2015, Creative Commons Attribution 2.0 Generic License. 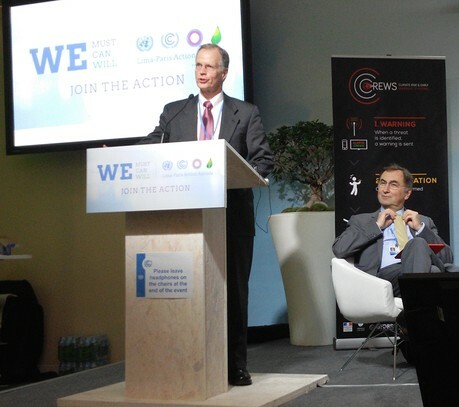 World leaders launch Mission Innovation at the United Nations Climate Change Conference 2015 (COP21) in Paris-Le Bourget, France, November 30, 2015. From left to right: Wan Gang, China; Ali Al Naimi, Saudia Arabia; Erna Solberg, Norway; Shinzo Abe, Japan; Joko Widodo, Indonesia; Justin Trudeau, Canada; Bill Gates; Barack Obama, US; Francois Hollande, France; Narendra Modi, India; Dilma Rousseff, Brazil; Michelle Bachelet, Chile; Lars Lokke Rasmussen, Denmark. Not shown, are Park Geun-hye, President of the Republic of Korea; Stefan Löfven, Prime Minister of the Kingdom of Sweden; Angela Merkel, Chancellor of the Federal Republic of Germany; Malcolm Turnbull, Prime Minister of Australia. A map showing the developed and developing countries that have pledged to double their investments in green energy R&D over the next 5 years. Breakthrough Energy Coalition: Bill Gates and his 27 billionaire pals have tipped the scales by agreeing to fund investment in breakthrough research to save our climate. His Breakthrough Energy Coalition is not philanthropy, but commits at least $2 Billion in investments in early stage commercial ventures that will help save our planet. Gates is encouraging deep pocket investors to look for opportunities across many industry sectors, such as agriculture, forestry, cement, and transportation. Bill Gates pledged $1 billion to get the ball rolling. He said: "Together we will focus on early stage companies that have the potential of an energy future that produces near zero carbon emissions and provides everyone with affordable, reliable energy." The current members of the Breakthrough Energy Coalition, in addition to Bill and Melinda Gates, include: Mukesh Ambani (Reliance Industries), John Arnold (Centaurus Advisors--Hedge Fund), Mark Benioff (Salesforce), Jeff Bezos (Amazon), Prince Alwaleed bin Talal (Saudi Arabia), Richard Branson (Virgin Group), Ray Dalio (Bridgewater Group), Aliko Dangote (Nigeria), John Doerr (Kleiner Perkins Caufield & Byers), Reid Hoffman (Linked In, Greylock), Chris Hohn, (Hedge Funds, Children's Investment Fund), Vinod Khosla (Khosla Ventures), Jack Ma (Alibaba), Patrice Motsepe (African Rainbow Minerals, South Africa), Xavier Niel (Iliad Group, France), Hasso Plattner (SAP), Julian Robertson (Tiger Management hedge fund), Neil Shen (Sequoia Capital/China), Nat Simons and Laura Baxter-Simons (Prelude Ventures), Masayoshi Son (Softbank), George Soros (Soros Fund Management), Tom Steyer (Farallon Capital, NextGen Climate), Ratan Tata (Tata Group, India), Meg Whitman (eBay, HP), Zhang Xin and Pan Shiyi (Soho China), and Mark Zuckerberg and Priscilla Chan (Facebook), University of California's Chief Investment Officer. Gates makes the point that investors tend to shy away from investments in energy R&D because the payoffs are very long-term. If what you care the most about is getting the fastest return on your money, you probably wouldn't be investing in green energy start ups. But, if you care about the planet and want to do your part to preserve the earth as a sustainable habitat for your grandchildren and their children and grandchildren, then investing capital now in developing the breakthroughs that will allow us to meet the twin goals of 350 PPM and 1.5 degrees Celsius, is what responsible investors should be doing. I am grateful that Gates used his rolodex to gain the participation of 30 of the world's richest people. 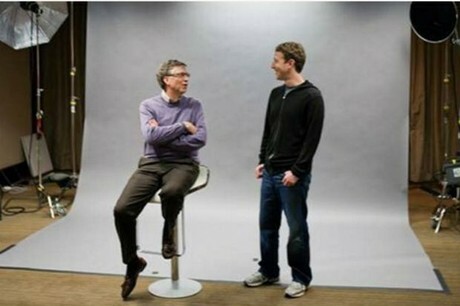 Bill Gates (left) and Mark Zuckerberg (right) announce $2 Billion of Investment targeted for renewable energy start-ups from 28 Billionaires, including themselves. "So while a boost in cleantech R&D funding is always welcome, what is most needed now is money for accelerated deployment and project financing of technologies that are now market-ready. Low or zero-interest loans and loan guarantees can leverage money 50-to-1 (since default rates are 2 percent or less). With $2 billion, you could create a $100 billion revolving fund for backing clean tech projects — which is getting to the scale of investment we need." Another upside to the Gates' coalition of billionaires rallying to combat climate change is that, once this coalition is formed and its investment fund instantiated, it's possible that those same billionaires will be willing to invest in other initiatives to combat climate change, such as low interest loans for individuals and businesses seeking to invest in renewable energy. Of course, doubling countries' own investments in renewable energy to $20 billion over the next five years, combined with $2 billion in commercial investments in breakthrough renewable energy solutions, fall way below the investment levels needed to actually reduce our dependence on fossil fuels, particularly for developing nations--each of which has near-term trade-offs to make: Allow the continued use of coal, oil, and gas for energy generation in order to provide electricity for all consumers and to power industrial growth? Or, invest now in building a renewable energy infrastructure that will empower economic development? At past COP events, climate funds (Global Climate Fund, Green Climate Fund, the South to South Climate Fund, etc.) have been established for both mitigation--lowering greenhouse gas emissions--and adaptation--to reduce vulnerabilities to the effects of global warming. A number of countries have pledged to support these funds, but the funds are still currently under-funded. At COP 21, there was agreement that in order for developing countries to develop economically without dependence on fossil fuels, it would require an investment of at least $100 Billion/year. 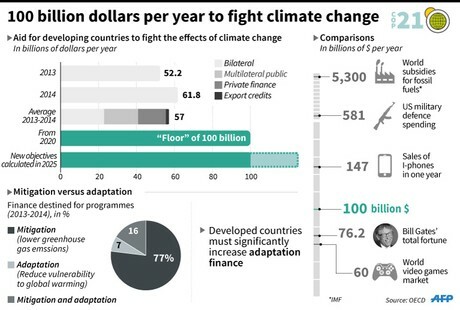 This Infographic by Iris Royer de Vericourt for Agence France Press shows how much investment was made in 2013 and 2014, and how big the gap is. By pointing out that Apple receives close to $150 Billion in Revenues/year for sales of iPhones, the US spends $500+ billion/year on defense and world subsidies for fossil fuels amount to 53 x 100 billion/year, it puts the planet-saving investments into perspective. While governments and billionaires work at the top of the pyramid, there's a lot of activity going on at the bottom of the pyramid. These are the customer-led innovations that we hope to be able to highlight throughout the coming months. I tend to be most interested in the innovations that spring from the context on the ground of people who are coping with the changes in their climate and coming up with pragmatic solutions to increase resilience, improve the generation and storage of renewable energy, improve and protect water & air quality, avoid deforestation, produce food sustainably, and provide green transportation using renewable energy. Often these pragmatic solutions stem from indigenous wisdom and experience. On a recent trip to rural Uganda, before I was even aware that cement manufacturing accounts for 5% of global carbon emissions, I encountered a young man who had built a home for his family using cassava-flour paste in lieu of cement to hold bricks together. He proudly told his friends and neighbors how much money he had saved by using this locally grown and locally milled root vegetable. (Cassava is also used to produce tapioca.) After five years, this young man reported, the structure was stil solid and waterproof, there were no bugs, and he was helping a neighbor build his home using the same locally-produced materials: clay bricks and cassava flour paste. I recently met a young Ugandan farmer who used flour from Cassava roots (left) that he grew to make a cement-substitute to build a brick home for his family at one-third the cost of cement. Cement production accounts for 5% of global carbon emissions. Here's another example that was highlighted at one of the Side Events at COP-21: the use of Floating Gardens to extend agriculture in areas that have become flooded due to climate change and extreme weather. 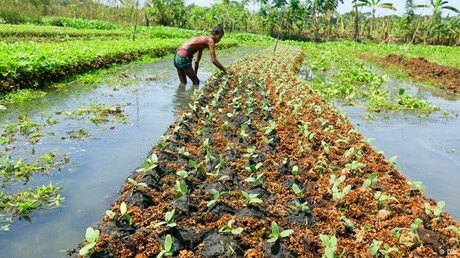 Farmers in Bangladesh are turning to the use of floating rafts filled with compost to grow crops in flooded areas. Floating Gardens: According to Green Economy Coalition, floating gardens date from pre-Hispanic times in Mexico, when the Aztecs constructed chinampas or floating gardens in the canals of Lago Texcoco. The gardens became one of the most productive farming systems ever developed. By the time the Conquistadors came, the area of Xochimilco had become a rich agricultural district where many of the city's flowers, fruits and vegetables were grown. Now these are used in India and Bangladesh and other regions in which frequent flooding has become a reality. 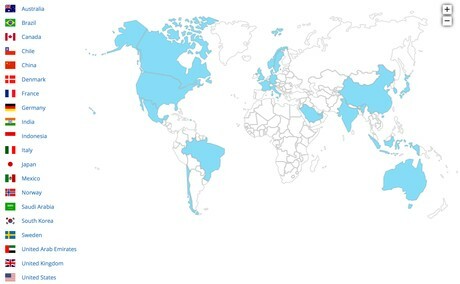 Some grass roots' programs are multi-national in scope. 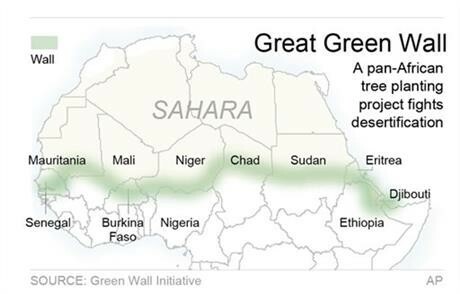 A good example of this is the Great Green Wall initiative which was conceived by a Nigerian in 2005, furthered by the African Union in 2007, and an agreement among all 7 countries signed in 2010. Each country and region comes up with its own natural regeneration programs, and groups compare notes at regularly convened conferences to compare progress and approaches. The Global Environment Facility--an environmental development fund that was established during the Rio 1992 Earth Summit--has dedicated $100 million to support local initiatives to develop and sustain the Great Green Wall. In order to ensure that millions of the affected, and perhaps under-educated, people understand the impacts of climate change on their lives and are mobilized to create local, relevant solutions, many educational institutions and NGOs are increasing their focus on nurturing innovation and creativity in dealing with climate change. INDIA PROPOSES ENERGY TRANSFORMATION FRAMEWORK. At COP-21, India's Center for Science and Environment promoted its Global Renewable Energy and Energy Access Transformation (GREEAT) program. Chandra Bhushan, deputy director general of CSE, presented the idea of at the Ministry of New and Renewable Energy side event on energy access. He spoke about the importance of affordability in the future energy system. The “Future of energy is decentralized, distributed, and renewable,” he said. India, like many developing countries was hoping for more funding commitments for renewable energy projects from the developed countries at COP-21. 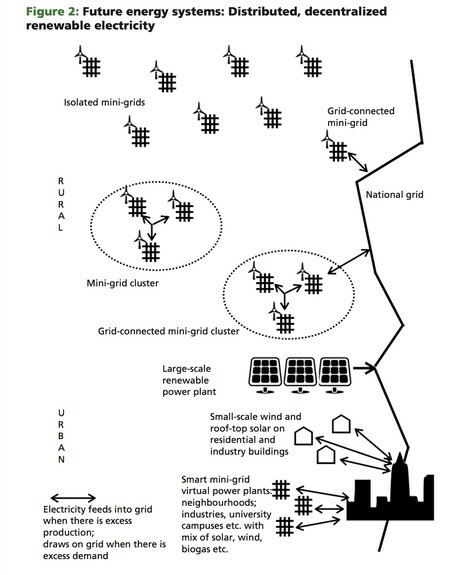 To that end, India's CSE circulated this proposal that could be used as a framework for countries to monitor and to manage renewable energy investments, primarily by compensating power producers (both individuals and organizations) for the energy they feed back into their local grids based on a sliding scale that takes into account the investments required to invest in renewable energy. Versions of this proposal have been floated at previous COPs. Chandra Bhushan's Global Renewable Energy and Energy Access Transformation (GREEAT) program sets a goal of a 100 per cent renewable energy system that provides energy access to all by 2025. ANTICIPATE, ABSORB, RESHAPE CHALLENGE. At COP-21, MIT's Center for Collective Intelligence partnered with the UN's Climate Resilience Initiative to create the Anticipate, Absorb, Reshape (A2R) initiative. A2R is a new global, multi-stakeholder initiative which is intended to accelerate action on the ground to enhance the climate resilience of the most vulnerable countries and people by 2020. The platform they are using is, not surprisingly, Tom Malone's Climate Co-Lab at MIT. As of today, there are six proposals that are under development. You can follow their progress or throw your hat in the ring, at the A2R Workspace hosted by MIT. John Malone has been leading MIT's Collaborative Intelligence initiatives for decades. At COP 21, Malone announced a joint UN/MIT-sponsored Climate Co-Lab to support the UN's Climate Resilience Iniitiative A2R. 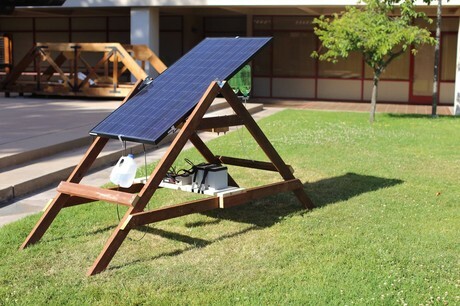 The Sun Saluter is a rotating solar panel that generates electricity while it purifies water, rotating throughout the day to maximize access to the sun. One of the most successful tactics used by the climate justice activists at the COP 21 in Paris was the connection of climate- destroying activities to specific brands. One of the ways in which climate justice activists expressed their concerns in Paris was by posting these large advertisements on public billboards around the city. The one of the left criticizes Mobil for its public cover up about the impact of fossil fuels on the environment. The one in the center characterizes Air France as part of the climate change problem, and the one on the right points fun at Volkswagen for falsifying environmental emissions testing with the tagline "we're sorry we got caught." Now that climate justice is becoming a central concern for most consumers, brands will have to strive to portray their brands as "climate-friendly." How Will the Climate Justice Customer Ecosystem Evolve? What do these eight trends tell us about the relative maturity and vitality of the customer ecosystem emerging around climate justice? It's still very fragile. The stakeholders--governments, large energy companies, the influential and wealthy one percent--can still clearly derail the baby steps being taken to meet customers' clearly articulated goals. But customers/citizens/farmers/activists/indigenous peoples are not going to sit back and let powerful stakeholders continue to ignore their right to live sustainably, to be able to breathe clean air, drink pure water, and to feed their families. There will continue to be debates about the degree to which human activity is causing our climate to warm up, or causing weather to become more extreme. But I believe that COP 21 marked the tipping point at which more people all around the world have become committed to climate justice--to saving our planet while protecting the most vulnerable among us. The good news is that as more and more people and parties become committed to reducing our carbon footprint and living sustainably in harmony with nature, the more creative and innovative we'll become as a species in harnessing our collective intelligence to find and implement innovative and socially and economically just climate solutions all around the world. What can you and your organization do to align yourselves with the customer ecosystem that's emerging around climate justice? Hint: when there's a customer-led movement afoot, it's smart to go along, rather than ignore it or resist it! Enlist your customers/end-users to co-design climate friendlier sourcing, production, transportation, storage, and distribution processes with your cross-functional teams. Engage with customers in identifying the largest energy-consuming resources you are both using (e.g. cloud computing, paper products, transportation, etc.) and in setting mutual targets for ensuring that the energy being consumed is renewable and the emissions being generated are as low as possible. For each proposed improvement, enlist customers' help in determining what and how to cost-effectively measure the efficacy of the solution in terms of meeting the two over-arching goals: reducing carbon emissions and lowering global warming. Enlist customers' help in identifying solutions to customer-impacting processes, e.g. packaging, installation, operation, maintenance, reliability, power usage, water usage, emissions. Form a cross-industry customer council to focus on reducing your firm's energy consumption, carbon footprint, emissions, and water consumption. Engage with customers in co-designing products and services they will buy and use, that have lower carbon footprints, zero emissions, low water consumption, and that either use renewable electricity and/or generate renewable energy. Engage with customers in co-designing end-to-end customer experiences that are eco-friendly as well as customer-friendly. In short, it's not enough to take environmental stewardship seriously. Engage with your customers to co-design zero emissions' products and processes. You'll accelerate your progress by engaging the minds and energies of your customers, and, in so doing, increase their brand loyalty.